Marion Motor Lodge is a quaint St. Augustine accommodation located on beautiful Matanzas Bay and across the street from the City Marina. This lodging is a throwback to the days of Mom & Pop motels; a family-friendly lodging that's perfect for any budget. An affordable waterfront hotel, Marion Motor Lodge is a comfortable place to stay for vacationers. It is within walking distance to all major downtown attractions, shops, bars, and restaurants. Marion Motor lodge has the largest outdoor pool on the water in historic downtown. This hotel offers rooms with Queen or King Size beds. Its rooms, convenient location, and quality service keep guests coming back. It's the perfect place to sit outside your room and enjoy the view, enjoy a swim in the large pool, or take a stroll along the seawall and spot dolphins and fish in the bay. Free parking is provided for guests, a luxury in downtown. Marion Motor Lodge is within one block of several museums, shops, restaurants, and boat tours leaving from the marina. 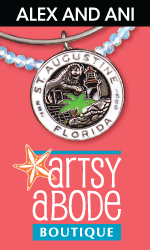 Vacationers can call for availability today and plan an affordable St. Augustine vacation. good prices,clean,good location,good ac,good parking,mattresses are good not as hard as a rock.staff very friendly,good view. Great location, walk or trolley all over historic downtown. Rooms are a bit 'dated' but beds are comfortable and bathrooms are clean. Owners are friendly and we wouldn't stay anywhere else when we come to Saint Augustine. We have been staying for nearly 15 years now.